Thirteen-year-old David Eliot was a disappointment to his parents. But to be sent to Groosham Grange? 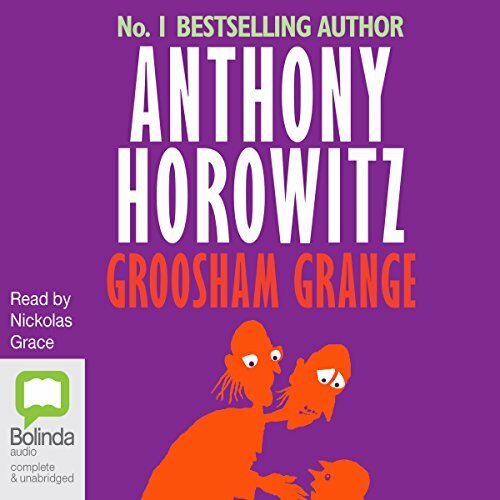 Hidden away on a lonely island, Groosham Grange is a school that is unknown to the outside world. Pupils are forced to sign their names in blood. An English teacher is held together entirely with bandages. A soccer ball is made of ... well, you'd rather not know. What is the chilling secret hidden behind the headmaster's door? And why are students disappearing in the middle of the night? Suddenly, David has a lot more to worry about than pleasing his parents – like survival!